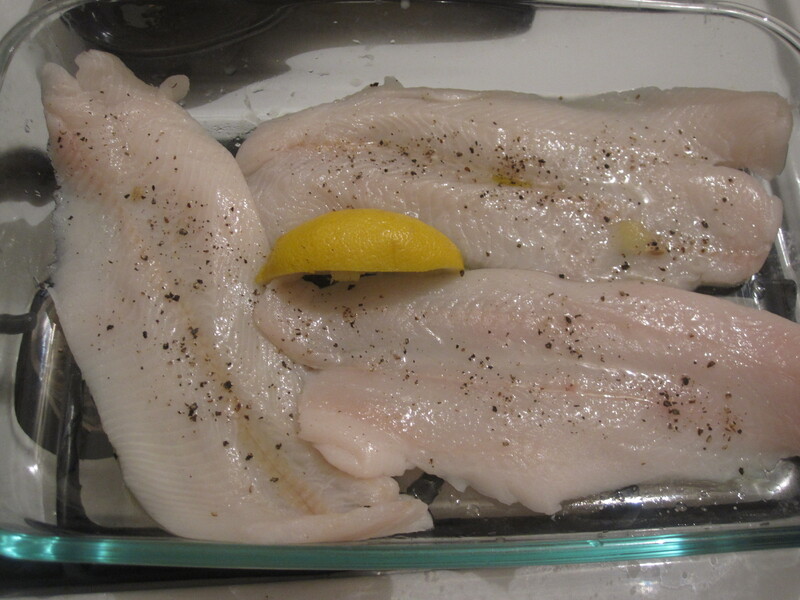 Another tarragon inspired dish with a first time fish. 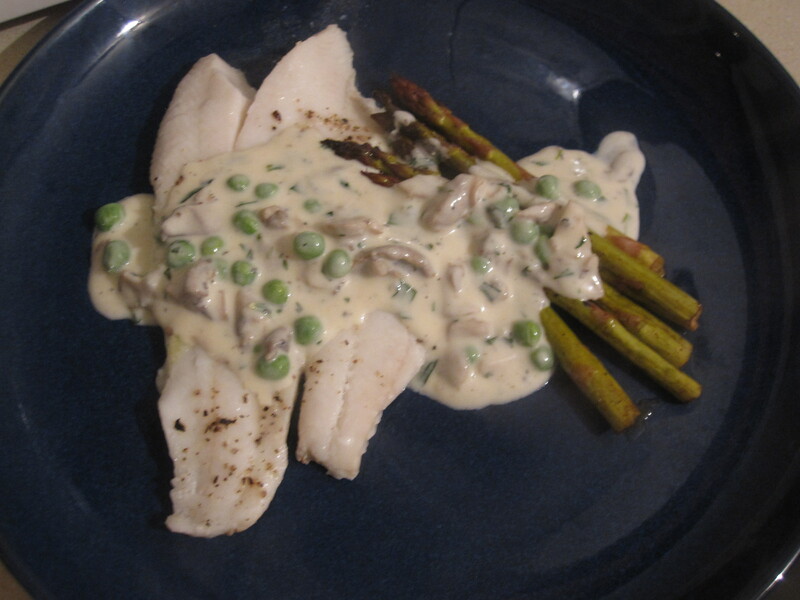 The homemade cream sauce was great on both the fish and roasted asparagus. 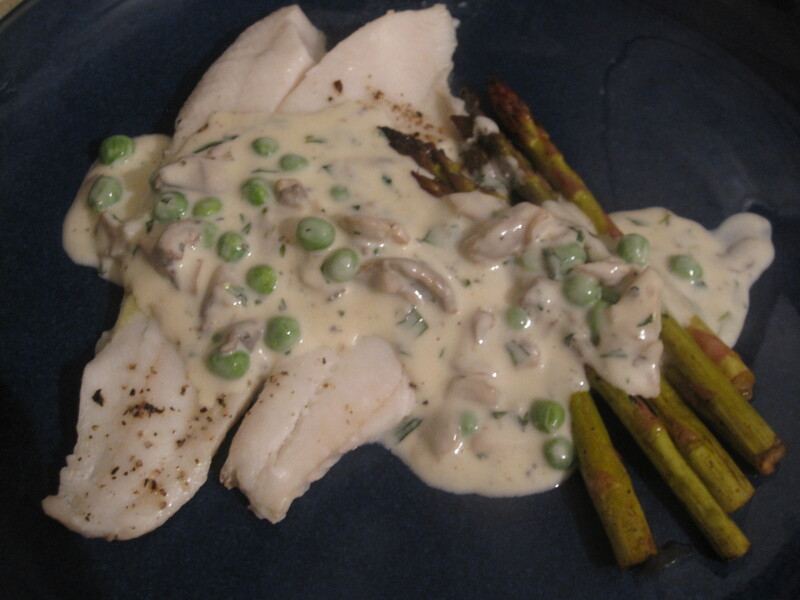 When I went to Wholey’s I came across turbot at a decent price and had never tried it before and already had the tarragon cream sauce in mind, so that was how that decision was made. It was good, pretty mild and not too exciting but worked out well here. 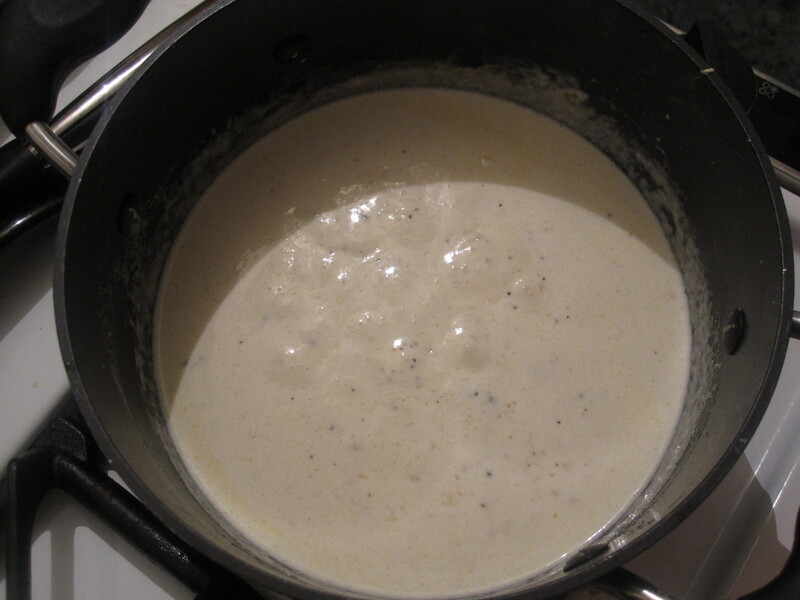 The cream sauce was sort of the main dish here. 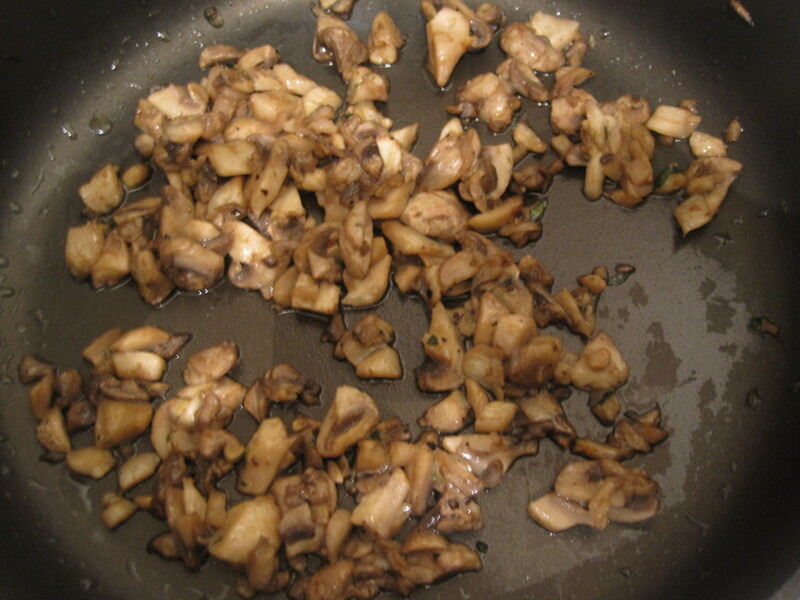 I sauteed mushrooms on their own for a while and added them to the sauce towards the end. 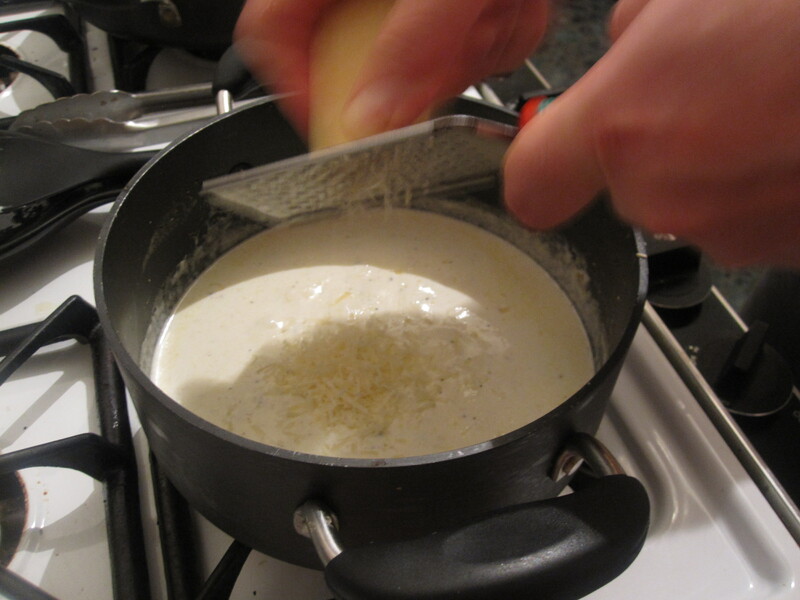 The sauce started out pretty basic and I added some parmesano reggiano. 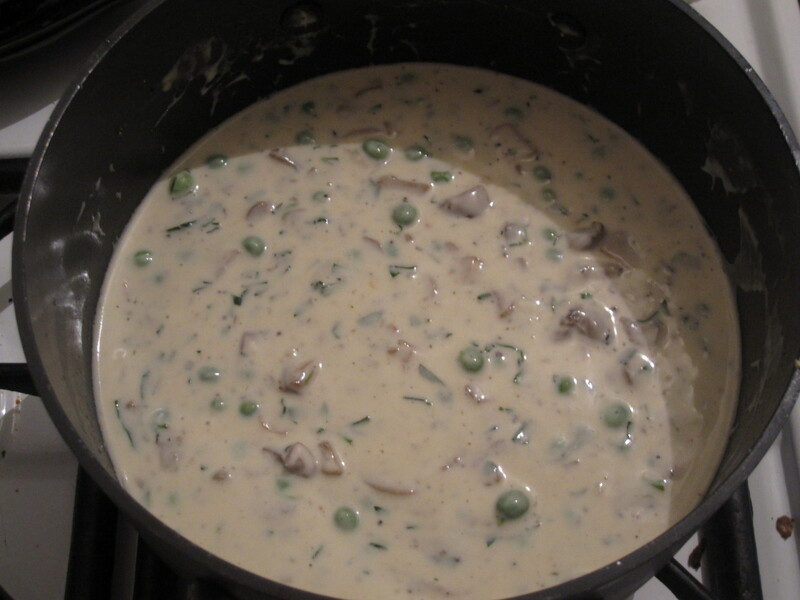 Once the sauce was set, I added peas, the sauteed mushrooms, and fresh tarragon. I roasted asparagus with the turbot in some balsamic and oil. The sauce was great on both of them. 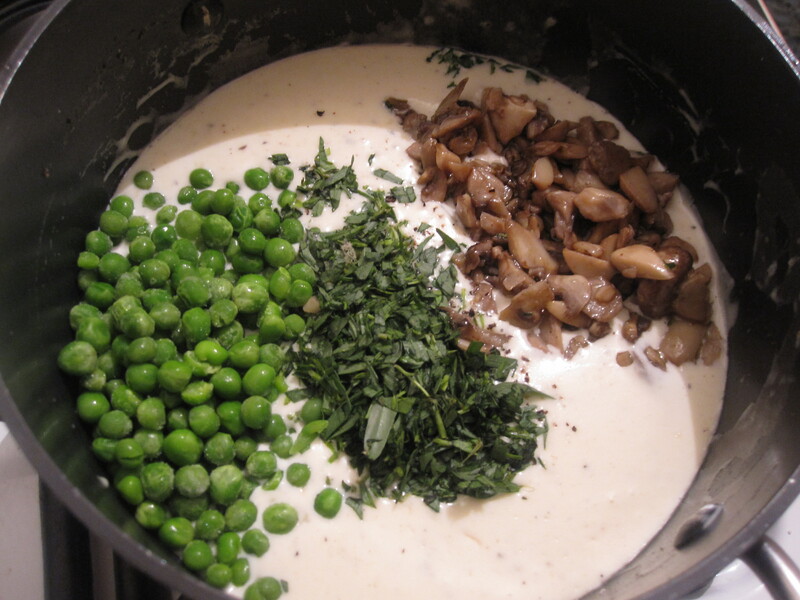 Tarragon lemon cream sauce looks & sounds delicious – and especially good for on fish, which is not my favorite food, but I bet any fish tastes good covered in this sauce! It was nice to meet you both at Bocktown the other night!